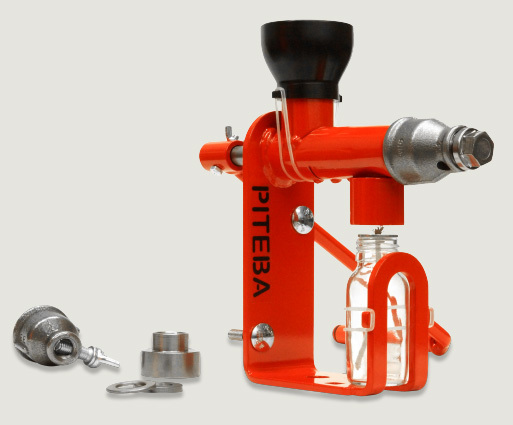 This Piteba design hand-cranked oil extractor presses oil from all seeds and nuts with a high oil content. This is the original well-functioning press handmade in The Netherlands. How to extract oil? We help you out with pressing walnuts, sesame seed, coconut, groundnuts, olives and many more. Questions or problems, please contact us! 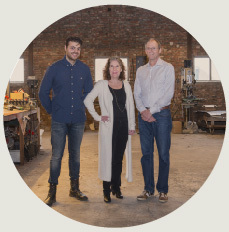 We design and produce all products ourselves. Next to the oil press and the nutcracker, we make accessories like the mounting set, the cap D2 for olive pressing, the Cap D3 for palm oil pressing and various spare parts sets. Our high yield oil press will give you the possibility to produce your own unrefined virgin oil. You can process seeds, organic or conventional, like sesame seed, sunflower seed, peanuts ( groundnut ), moringa, canola, walnuts, jatropha, lin seed ( flax seed ), almond, castor beans, coconut ( coprah ), safflower, soybean and mustard seed. The full list of seeds with the oil per kilo can be found on the Operation page. You can make edible oil as well as oils for cosmetic purposes ( skin oil, hair oil ).